To achieve food security and meet the demands of the ever-growing human populations, farming systems have assumed unsustainable practices to produce more from a finite land area. This has been cause for concern mainly due to the often-irreversible damage done to the otherwise productive agricultural landscapes. Agro-ecology is proclaimed to be deteriorating due to eroding integrity of connected ecological mosaics and vulnerability to climate change. This has contributed to declining species diversity, loss of buffer vegetation, fragmentation of habitats, and loss of natural pollinators or predators, which eventually leads to decline in ecosystem services. Currently, a hierarchy of conservation initiatives is being considered to restore ecological integrity of agricultural landscapes. 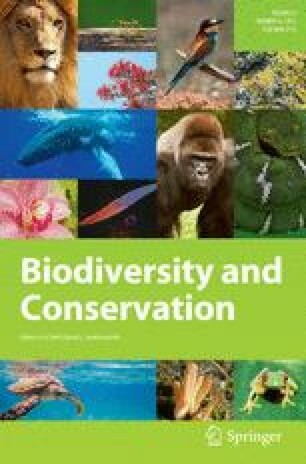 However, the challenge of identifying a suitable conservation strategy is a daunting task in view of socio-ecological factors that may constrain the choice of available strategies. One way to mitigate this situation and integrate biodiversity with agricultural landscapes is to implement offset mechanisms, which are compensatory and balancing approaches to restore the ecological health and function of an ecosystem. This needs to be tailored to the history of location specific agricultural practices, and the social, ecological and environmental conditions. The offset mechanisms can complement other initiatives through which farmers are insured against landscape-level risks such as droughts, fire and floods. For countries in the developing world with significant biodiversity and extensive agriculture, we should promote a comprehensive model of sustainable agricultural landscapes and ecosystem services, replicable at landscape to regional scales. Arguably, the model can be a potential option to sustain the integrity of biodiversity mosaic in agricultural landscapes. The authors benefitted from informal discussions with farmers from Karnataka, Maharashtra, Meghalaya and Mizoram while developing the impressions and thoughts expressed in this article. We thank the reviewers for constructive comments that helped us improve the manuscript. SK is supported by funds grant from Robert Bosch Foundation, Germany to Indian Institute of Science, Bangalore. KK was supported by research grants from the Department of Science and Technology and the Department of Atomic Energy (Government of India) during the writing of this manuscript.